Be the first to share your favorite memory, photo or story of Windel. This memorial page is dedicated for family, friends and future generations to celebrate the life of their loved one. 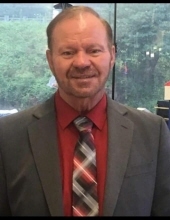 Windel Lester, 67, of Iaeger, WV, gained his wings at 7:00 a.m., Tuesday, April 2, 2019. Windel was born July 27, 1951 at Bull Creek near Mohawk, WV. He was the son of the late Edward Lester Sr. and Icie Coleman Lester. Windel attended Iaeger High School. He worked in the coal mines for twelve years and then helped start Lester Mobile Home Sales in 1974. In 1995 he started Lester’s Home Center where he worked for 23 years. Windel loved meeting and talking to people; he never met a stranger. Windel looked forward to each day with the thought of being able to help people. He was a pleasure to be around. He was always saying something funny or telling you a joke; there was never a dull moment around him. You never knew what to expect next. Windel will be sadly missed. In addition to his parents, Windel was preceded in death by one sister, Patty Lester. Survivors include two sons, James Edward Lester and Greg Lester; a daughter-in-law, Tiffany Lester; three grandchildren, Austin Lester, Kylie M. Lester and Emery L. Lester; two sisters, Patsy Lester Bailey of Iaeger, WV, Glenna Holt of Marrs, PA; two brothers, Kermit Lester of Hanover, WV and Edward Lester, Jr. of Iaeger, WV; one brother-in-law, Ray Bailey of Iaeger, WV; and two sisters-in-law, Barbara Lester of Hanover, WV and Penny Sue Lester of Iaeger, WV. Friends may visit with the family Saturday evening, April 6, 2019 from 6:00 to 8:00 p.m. at the Chapel of Fanning Funeral Home in Iaeger, WV. Funeral services will be conducted Sunday, April 7, 2019 at 12 noon with Reverend Daniel Dean officiating at the Chapel of Fanning Funeral Home in Iaeger, WV. Burial will follow in Green Lester Cemetery on the right fork of Bull Creek near Mohawk, WV. Family and friends will serve as pallbearers. To send flowers or a remembrance gift to the family of Windel Lester, please visit our Tribute Store. "Email Address" would like to share the life celebration of Windel Lester. Click on the "link" to go to share a favorite memory or leave a condolence message for the family.